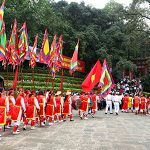 Home / Travel Guide / Vietnam Culture / Vietnam Customs / What is Tet Holiday – Vietnamese Lunar New Year? 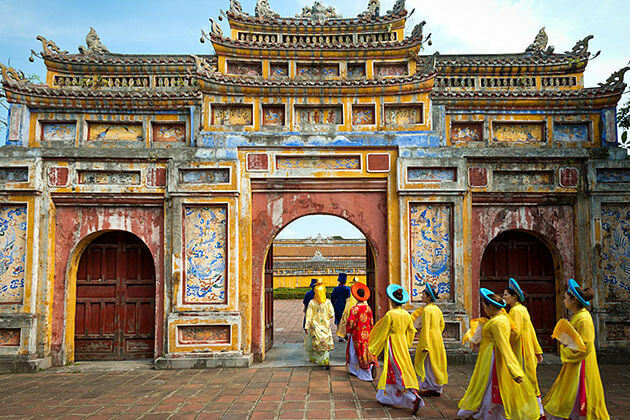 What is Tet Holiday – Vietnamese Lunar New Year? 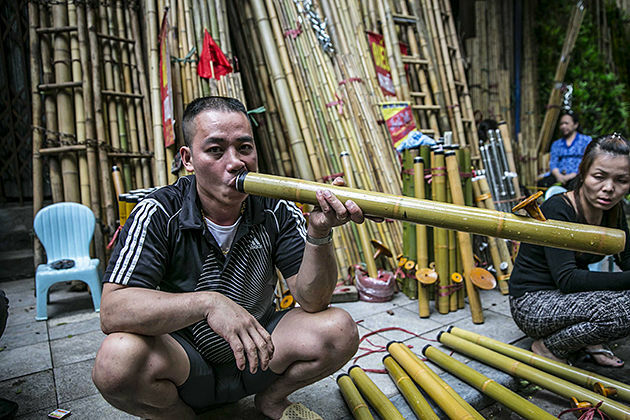 Vietnam Lunar New Year, also called Tet, is the most crucial event in Vietnamese tradition. Tet marks the arrival of spring based on the lunisolar calendar, it will be between January and February as usual, after New Year’s Day. 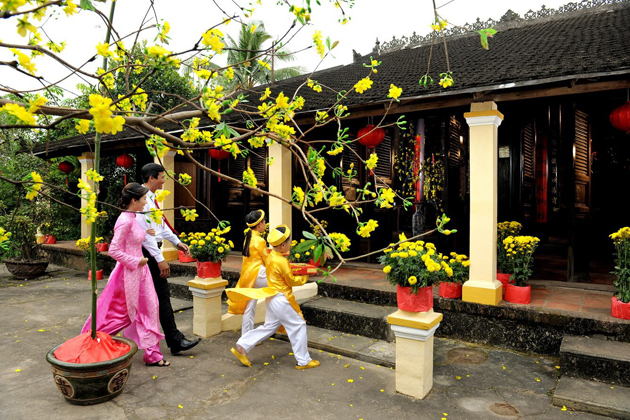 Tet occurs from the first day of the first month in Vietnamese lunar calendar to the third day or even more. 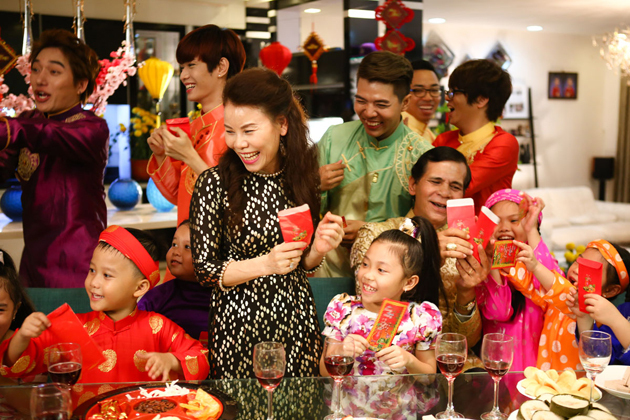 Occasionally, all Vietnamese people have around 1 week off during Tet holiday, the length of the holiday depends on the change in lunar calendar annually. Vietnamese & Chinese Lunar New Year are totally Different. Many Asian countries use the lunar calendar, not except for Vietnam and China. However, Vietnamese have own traditions and customs that are absolutely different from Chinese ones. The legend “Banh Chung Banh Giay” is an evidence that Tet of Vietnam appeared for a long time before, since Banh Chung or Chung cake is a typical cuisine during Tet. In particular, in the 13th century, the Vietnamese usually celebrated Tet vacation with glutinous – rice wine, betel nuts, and Chung cake. Then, in the 15th century (the era of King Le Thanh Tong), mandarins must gather at the court to celebrate Tet with royal families, and Tet holiday became the most crucial festival in the year of Vietnamese. Before Vietnamese Lunar New Year’s arrival, any family tends to grow or buy the New Year tree representing for power, fortune, and peace. It is traditional that they usually put them in their yards or in front of the main doors. The New Year tree is various such as kumquat tree, peach blossom tree, and apricot blossom tree. A fact is that Northern people prefer to peach blossom, while Southern people love apricot blossom tree more. It is likely one of significant difference among two areas. Besides, there are many typical flowers on this occasion, releasing fragrant for houses. 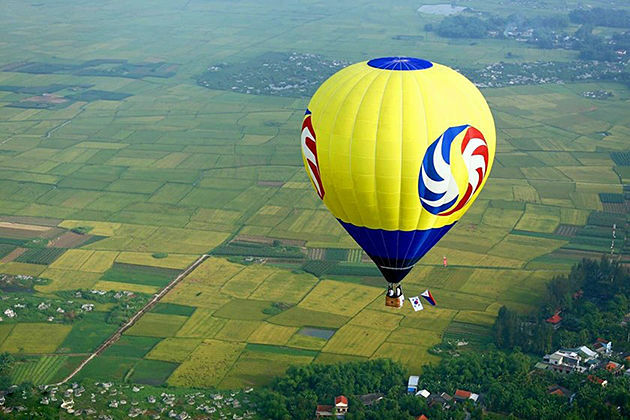 In Vietnamese culture, people believe that their fortune in the next year will be affected by the first person setting foot on the land of their houses. Many people try to consider if anyone is suitable for that first person, even they take destiny into account for sure. Some people usually invite their relatives or friends to be this important person. Lucky money is an indispensable feature of Tet and children love it a lot. During Tet, adults will give money inside red envelopes to kids with the hope that they are healthier and better at studying. Kids love this custom and consider it as lucky money. In addition, lucky money is given to the elder with the meaning that they live healthier for hundreds of years old. The most traditional rice cake is Chung cake, become indispensable on Tet occasion and is a specialty from the legend “Banh Chung Banh Giay”. 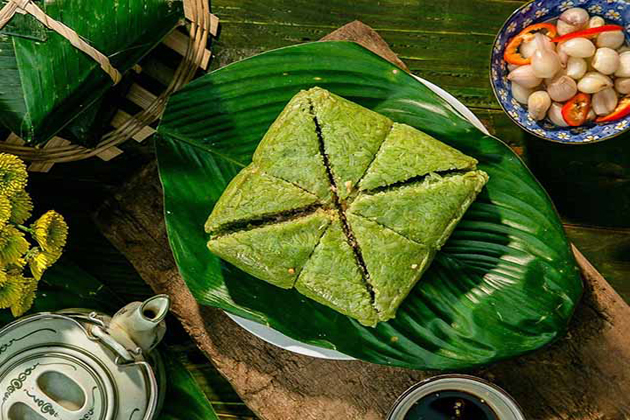 Chung cake is made from glutinous rice, green beans, pork, and other ingredients, covered with green leaves. People can eat Chung cake all year around but it is very special on Tet holiday. 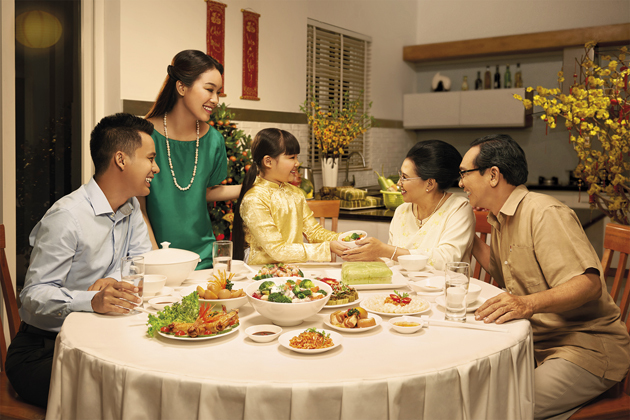 Family members cook and eat together, which makes a cozy atmosphere among them. Custom in visiting relatives during Tet holiday is apparently seen within 3 first days of New Year. 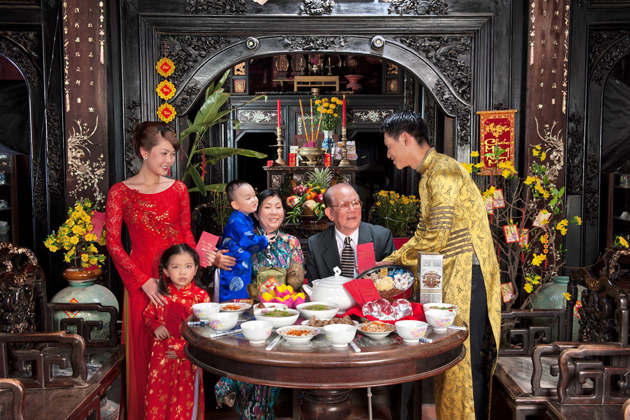 It is traditional that the first day of New Year is Tet of the father, representing for the maternal ancestral line. The children (especially married people) will go to their biological father’s home to pray them best wishes. The same is for the second day of the New Year, but it is the time for mother, in other words, paternal ancestral line. About the third day, it is a day of teachers who also contribute to education for children to be more and more mature. Students usually visit their teachers to say “thank you” for educating them well. Vietnamese cuisine is so worthy to try and enjoy different tastes and flavors in many dishes along 3 areas of Vietnam. 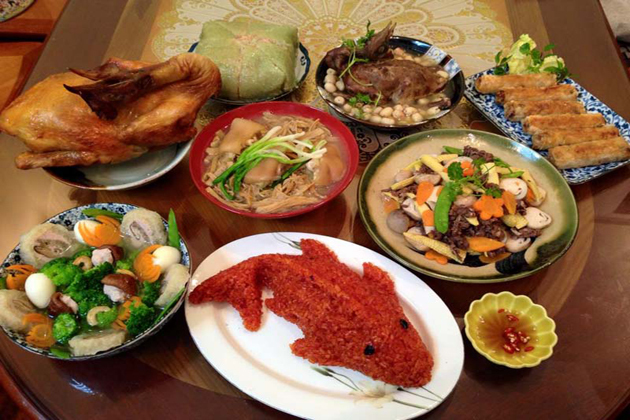 Tet is also an occasion so that all family members gather together and enjoy delicious foods. 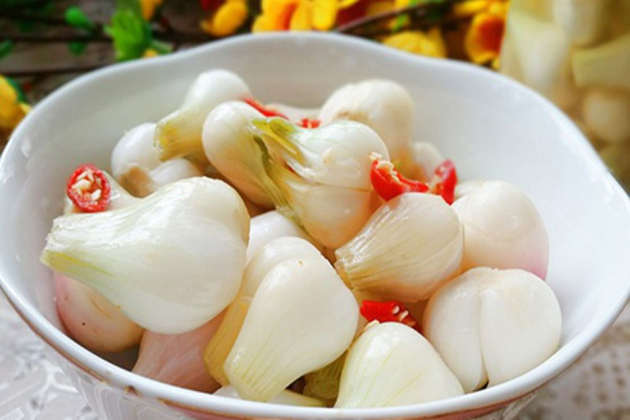 It is a Vietnamese byword that you can be hungry in some day of the year, other than the 3 first days of Tet holiday when each family celebrates Tet with a variety of delicious foods. As mentioned before, Chung cake has been popular since the legend “Banh Chung Banh Giay” as a traditional cake in Vietnam that is indispensable on Tet occasion. This is a tasty and savory cake made from sticky rice (main ingredient), green beans and pork with pepper, then wrapped in green leaves and boiled within 6 – 8 hours. Chung cake can be tasted in all seasons as long as people like to eat and also vary in many designs but the square style is most significant. Jam is a kind of sweets, as a typical snack to welcome guests during Tet holiday as they visit their relatives and friends. Jam is made from dried fruits like carrots, apples, and coconuts as well as some types of seeds. 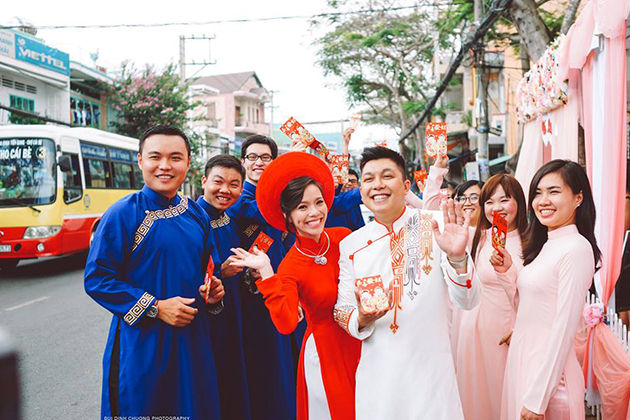 Vietnamese think that eating sweets gives them the fortune for the whole next year. Fatty pork, pickled onion, green Chung cake are 3 common words as referring to Tet. Vietnamese people usually eat fatty pork with pickled onions to bring them their appetite. Pickled onions can help digestive system high protein food undoubtedly. Tet Ong Cong, Ong Tao is always celebrated on the 23rd of the last month in the lunisolar calendar. Every family is busy at preparing foods and offerings to worship three gods and goddess of their kitchen. According to the legend, the carps are means of transport of the Gods to come to heaven, so people will release the carps into the river as a sacred event. The Gods will mention all events happening in the last year of their families to the King of heaven and after that, they come back on the last day of the year to celebrate Tet with families. Then, the carps become the dragons – a legendary mascot with extraordinary powers. To welcome the New Year, the house should be clean at every corner, ready to receive the good things. All members clean their houses and the altars and decorate or design things to be good looking as well. They repair broken things and replace old things. Many families decorate their houses and New Year tree with led lights and distiches. The last day of the year is so important time when all family members gather together to enjoy the last meal of the old year and talk about the old events. This brings the great ambiance of reunion among members, especially touching with expatriate business people. New Year Eve is a meaningful moment to welcome New Year coming soon. 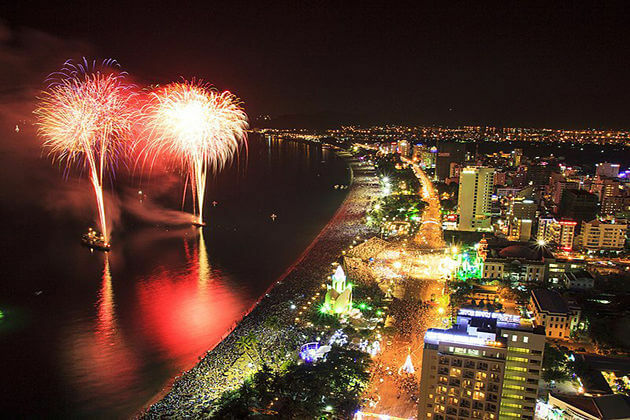 In many cities of Vietnam, there are outstanding firework performances recording this moment. Therefore, young people usually go out to watch fireworks with their friends or relatives. Meanwhile, adults stay at home so that they can complete the offerings for the beginning of the New Year and then worship the Gods and their ancestors to pray for health, peace, and fortune to each family member. People almost stay at home in every time of 3 first days to welcome their relatives and guests and vice versa, they also come to their relatives to pray for wishes. Children will receive lucky money from their relatives and the elderly people receive the wishes for health while adults receive the wish for success and fortune in their jobs. 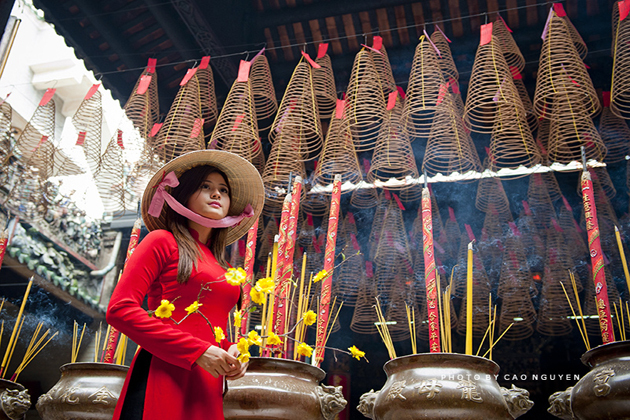 In addition, many Vietnamese with their belief in Buddhist go to the pagodas in order to pray for the year with such wishes. Votive papers are burnt and offerings are taken down from altars at the end of Tet holiday. 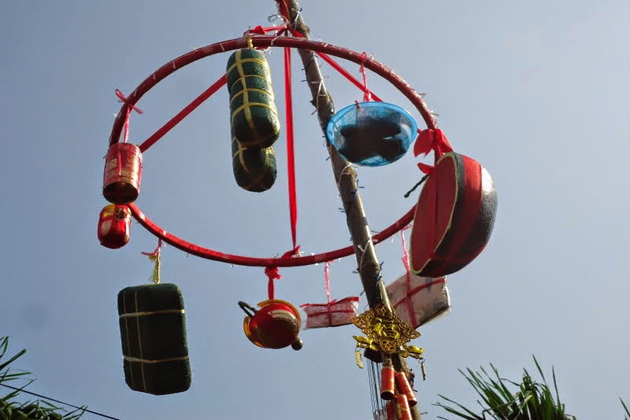 There are a lot of festivals after Tet holiday, organized in many villages. Many people are interested in joining in festivals such as buffalo fighting, boat racing, wrestling or lion dances while others prefer to explore cultures and traditions. 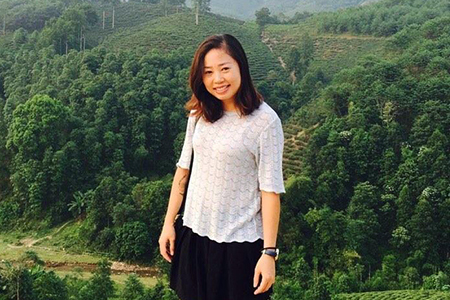 After Tet holiday, many people also come back to their work and study in many large cities. Then the city becomes crowded and the normal life is going on. In general, it is very exciting to enjoy this time if you have Vietnam tours during Tet, however, you should take care that almost all stores are closed during 3 first days of New Year, then maybe you have difficulty in buying something (stores are closed because the stores owners trust that if they sell goods in these days as equivalent to that they lose their fortune at the beginning of the year). In some large cities, you can see the streets less crowded since people go back their countrysides for the vacation but after this time, you may witness Vietnam transportation to become overcrowded as people hang out and back for work and study. 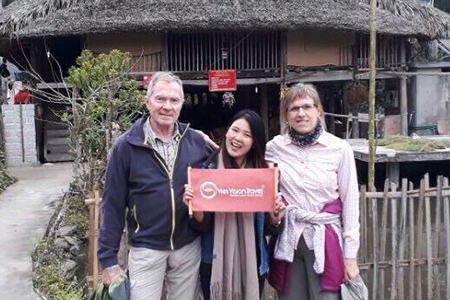 Tet is an indispensable part of Vietnamese life and it is a priceless experience to enjoy this time. However, try to avoid neglect and remember to back with current work and study soon after Tet holiday.